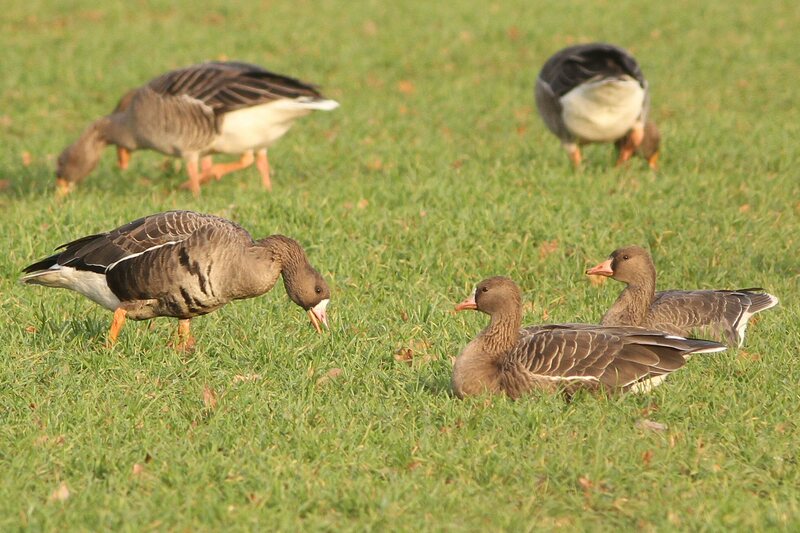 Last week’s three European White-fronted Geese, which were seen only briefly at Pitsford Res on 12th, managed to evade would-be observers at the weekend and made it out under the radar to Sywell CP, where they were relocated on 16th. 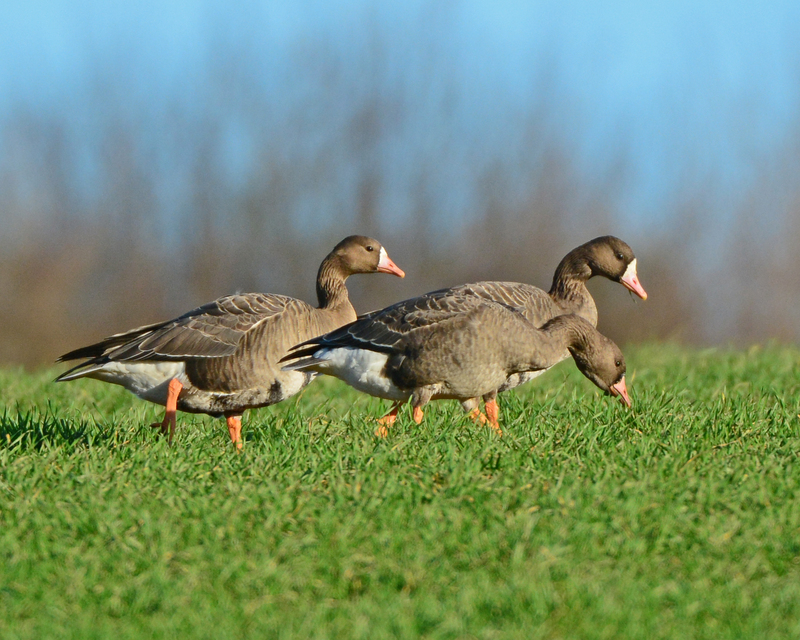 These three, still present at the week’s end, constitute the only record of this species in the county so far this year. 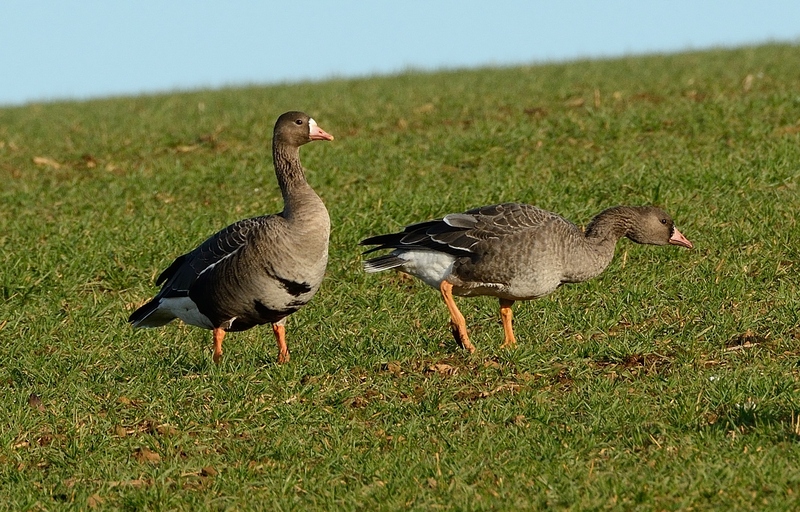 Another Pink-footed Goose was found with Greylags in the north of the county – this time at Blatherwycke Lake on 17th, while the two Ruddy Shelducks were still at Pitsford Res on 14th. Last week’s drake Red-crested Pochard was again at Stortons GP on 13th, also visiting nearby Hardingstone GP on 15th-17th and the two females remained at Stanford Res until at least 14th, while the first-winter drake Scaup remained at Hollowell Res all week. The Stortons GP ‘redhead’ Smew was still present on 13th, with up to three ‘redheads’ at Pitsford Res all week and the first classic ‘white nun’ of the winter was found at Ravensthorpe Res on 19th. 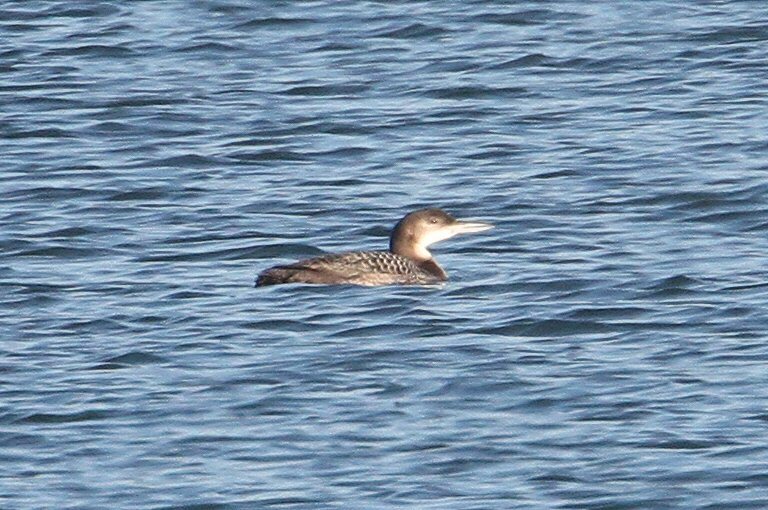 Highly mobile and frequently distant, a Great Northern Diver discovered at Pitsford Res on 13th, and subsequently present until at least 16th, was not entirely unexpected and, if past form is anything to go by, it seems likely to remain throughout the winter. Up to three Great White Egrets continued to be seen intermittently at Pitsford Res, while the Summer Leys LNR individual was still present there on 18th. Unseasonal for Northants, a Marsh Harrier flew over the A45 close to Clifford Hill GP on 16th but apart from this the only other raptors of note were a male Merlin at Harrington AF on 13th-14th and single Peregrines at Stanford Res and Blueberry Farm, Maidwell on 13th, Blatherwycke Lake and Higham Ferrers on 17th and two near Hardingstone GP on the same date. 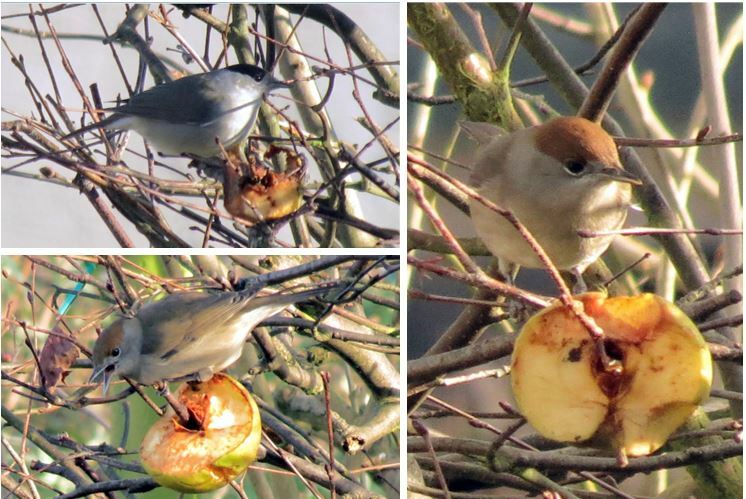 Central European Blackcaps rose to prominence – at least compared to last week – with a female in a Wellingborough garden on 13th, a male in a Northampton garden on 14th and a female there on 17th and a male and two females intermittently in a Sywell garden throughout the period. Other wintering passerines of note were two Chiffchaffs at Ecton SF on 13th with two at Stanford Res the following day and up to six Stonechats at Blueberry Farm, Maidwell until at least 15th, two at Hollowell Res on the same date and one at Thrapston GP the following day.